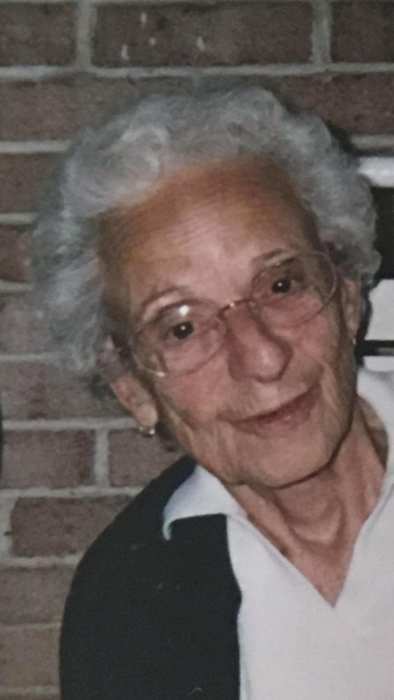 Marie A. Hallock, 97, of Selinsgrove entered into rest 9:35 pm on Monday, January 28, 2019 at The Manor at Penn Village. Marie worked in several sewing factories until her retirement. She enjoyed her family and in earlier years enjoyed traveling with their RV, as well as doing many crafts. She was a member of the Kratzerville homemakers and an active member of Driesbach United Church of Christ. Surviving is one son Gary Hallock and wife Deborah of Winfield, one brother, Ron Strause of Schuylkill Haven, and one sister, Joan Tregea of Schuylkill Haven, 2 grandchildren, Chris and wife Jenny of Marietta, and Heather and her companion Matt Wood of Dover, and 6 great grandchildren who enjoyed calling her Mom-Mom. She was preceded in death by one brother, Harold (Bud) Strause and one granddaughter, Susan Birster. Family and friends are invited to the viewing from 10 to 11 am on Friday at Dreisbach United Church of Christ, 875 Dreisbach Church Rd, Lewisburg, where the funeral will be held at 11, with the Rev. Nathan Druckenmiller, officiating. Interment will be in Lewisburg Cemetery. In lieu of flowers, memorial contributions in Marie’s memory may be sent to Dreisbach United Church of Christ, 875 Dreisbach Church Rd, Lewisburg PA 17837, or the American Cancer Society, 1948 E 3rd St, Williamsport, PA 17701.